This past week was a week of fun backyard finds while we were completing some projects. 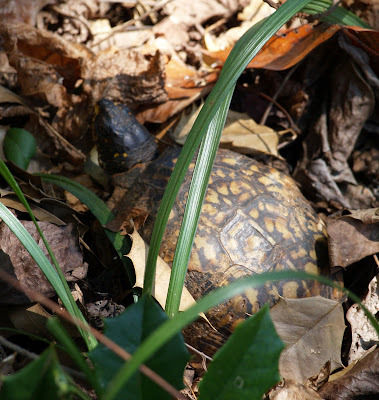 This little turtle was discovered while I was cleaning out my wild flower patch. 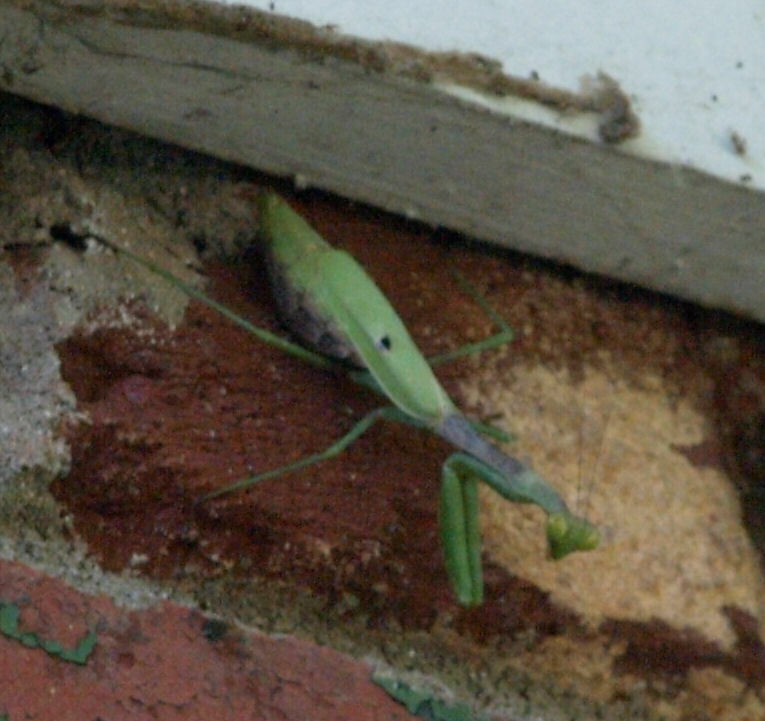 Looking up I spotted a Praying Mantis hanging out on a corner of our house.